James Dimon is an American Business executive. 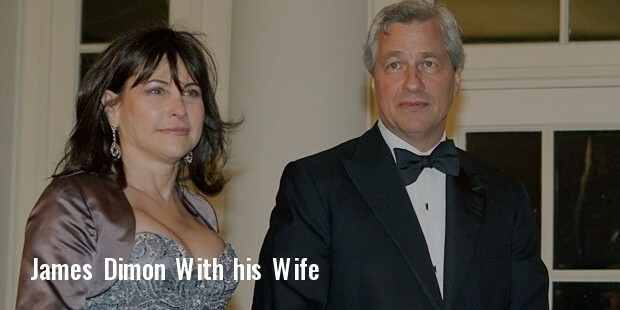 He is the chairman of JPMorgan Chase. Prior to joining JPMorgan, he served on the Board of Directors of the Federal Reserve Bank of New York. He is known to be among the best CEO’s and also featured in the Institutional Investor’s Best CEO’s list from 2008 to 2011. He was diagnosed with cancer in 2014, but plans to retain his position in JPMorgan Chase and run the company normally. Dimon was born to Theodore and Themis on 13 March in 1956 in New York City. He majored in psychology and economics from Tufts University. After completing his graduation, he worked for two years in a management consulting firm, before enrolling at the Harvard Business School. He graduated in 1982 as a Baker Scholar, and then joined American Express as an assistant. 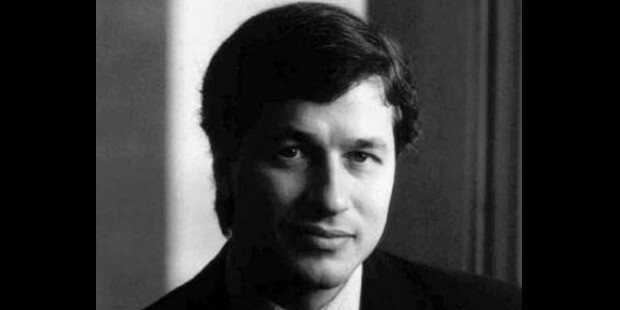 Dimon quit American Express in 1985. He later along with Weill took over the consumer finance company Commercial Credit. 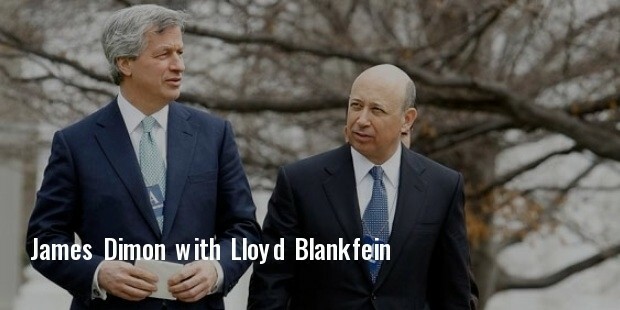 In 1998, the duo formed the largest financial services Citigroup. Eventually Dimon left Citigroup in 1998 after Weill asked him to resign. It was later confirmed by Dimon that Weill had fired him. Dimon was, briefly, the chairman and co-CEO of Salomon Smith Barney Holdings, before the merger and formation of Citigroup. In 2000 he became the CEO of Bank One. Eventually J P Morgan Chase purchased Bank One in 2004. In 2005, he was named the Chief Executive Officer of JPMorgan Chase and took over as chairman of the board in 2006. Dimon claimed the Basel III international financial regulations as discrimination against U.S banks and anti-American in 2011. In 2012, JPMorgan faced a loss of $2 billion in trades that were asserted by Dimon as “flawed, complex, poorly reviewed, poorly executed and poorly monitored.” In the recent Dimon has faced the London Whale problem, which involved huge losses in the billion trading in the London firm. He was accused of mortgaging securities in 2013. When J P Morgan Chase purchased Bank One 2004, and eventually Dimon was made president and chief operating officer of the combined company. In 2011, he was named CEO of the year. He was a Class A board member of the Federal Reserve Bank of New York in 2008. He was considered as one of the Top Gun CEO’s in 2009. He served as the Chairman of the Executive Officer of The Business Council for 2011 and 2012. 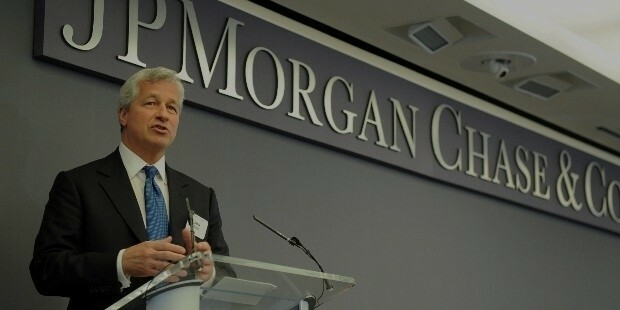 Under his leadership J P Morgan became one of the leading U.S bank and also the No.1 credit card provider in U.S. In 2014, Morgan received a 74% pay rise over his salary in 2013. Dimon met Judith Kent at Harvard Business School. The couple married in 1983 and is blessed with three daughters. Dimon is a supporter of Democratic Party and donates to the funds of the party. 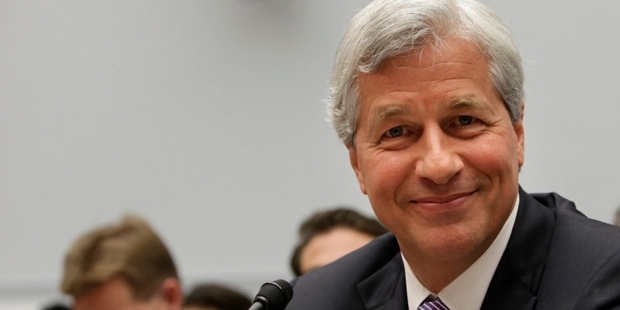 Dimon was listed in the world’s 100 most influential people by Time’s magazine in 2006, 2008, 2009 and 2011.